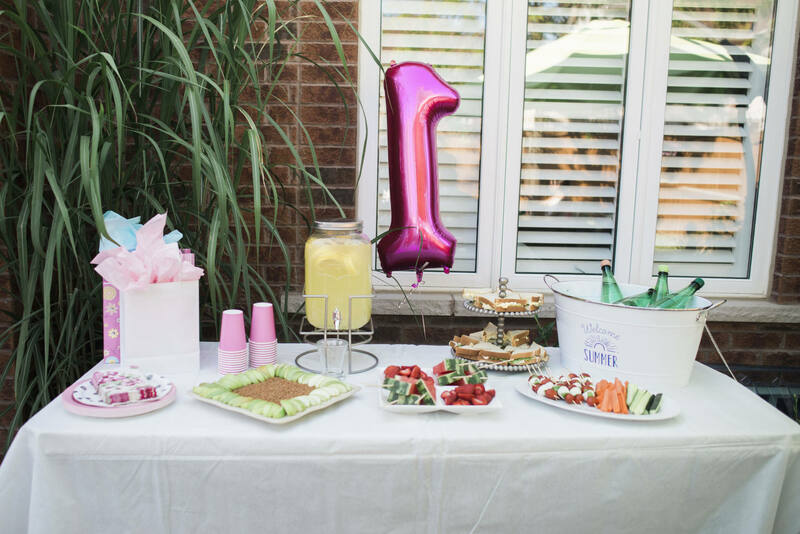 Sharing part two of ZoZo’s first birthday party today and as I write this I’m wondering where the last year has gone? It’s crazy how fast time flies but we’ve enjoyed watching her little personality shine through as she begins saying words and moving around. A few things about little Zoë: She loves her “broders”, they make her laugh the hardest, sweet girl enjoys grazing on the floor for food (she thinks she’s a puppy?) and she just loves rough horseplay with the boys…and usually wins the wresting match. 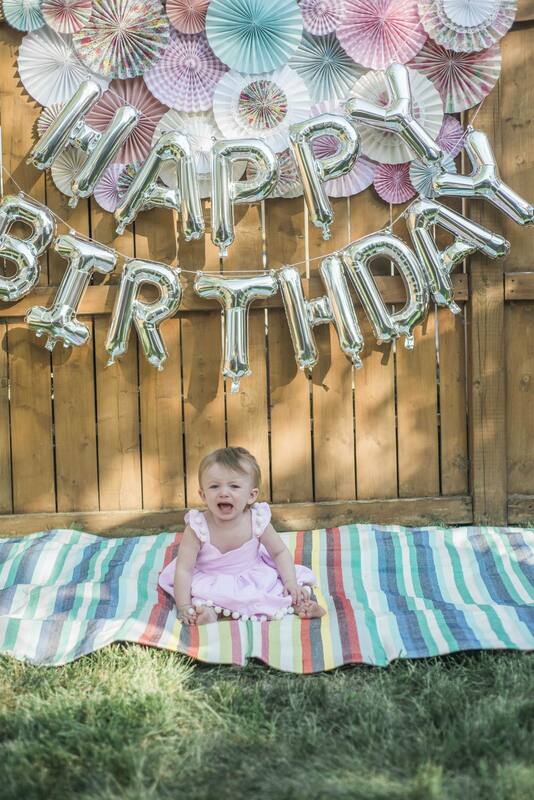 I can’t wait to see this little one hit more milestones…bring on the walking and talking, mamas ready for you big girl! 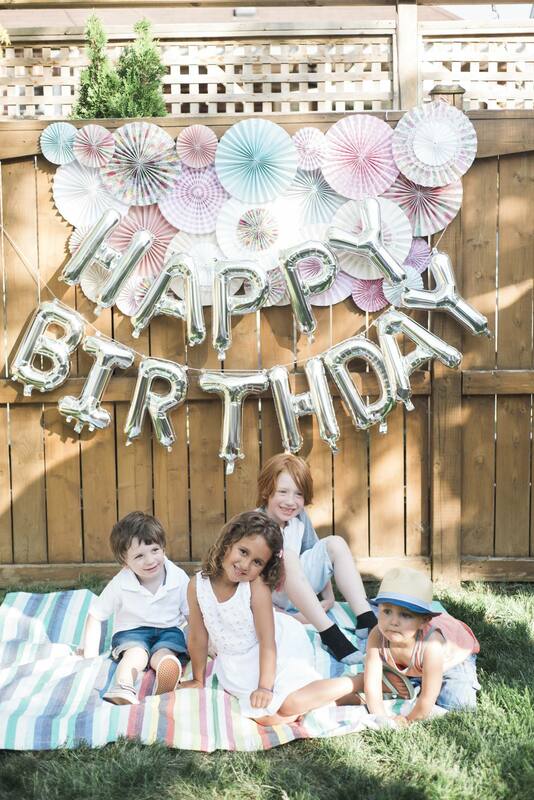 We celebrated Zoë’s birthday in style with the help of some of our favourite shops. Adorable party dress – check! 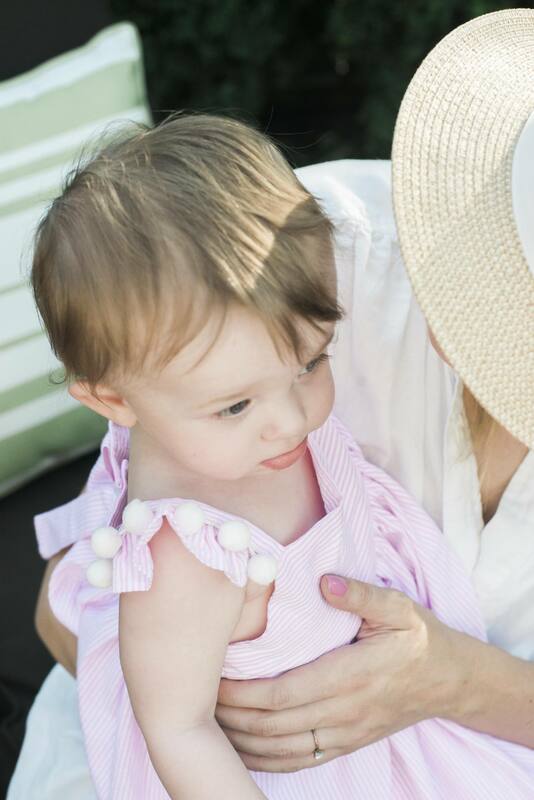 Thanks to Esther from Cute Heads who handmade Zoë’s whimsical flutter sleeved dress. Isn’t it cute?! The pom pom details add the sweetest touch. You can tell Esther’s dresses are made with love by the amount of work she puts into every little detail. The shape, style and colours of her dresses are always well thought out and so beautiful. We went with pink stripes in Zoë’s dress to go with the pinks and silver in the decor. 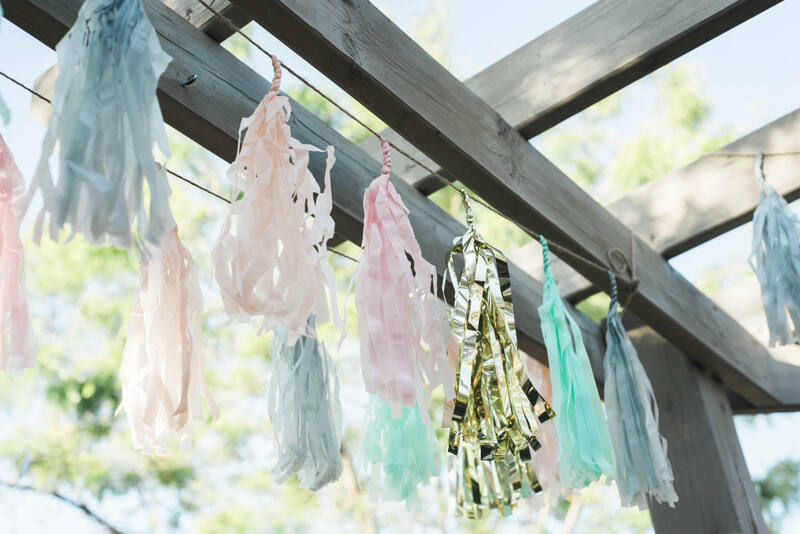 North Star Balloons has such a large selection of balloons and fun items like the tassel garland – you name it, they’ve got it! 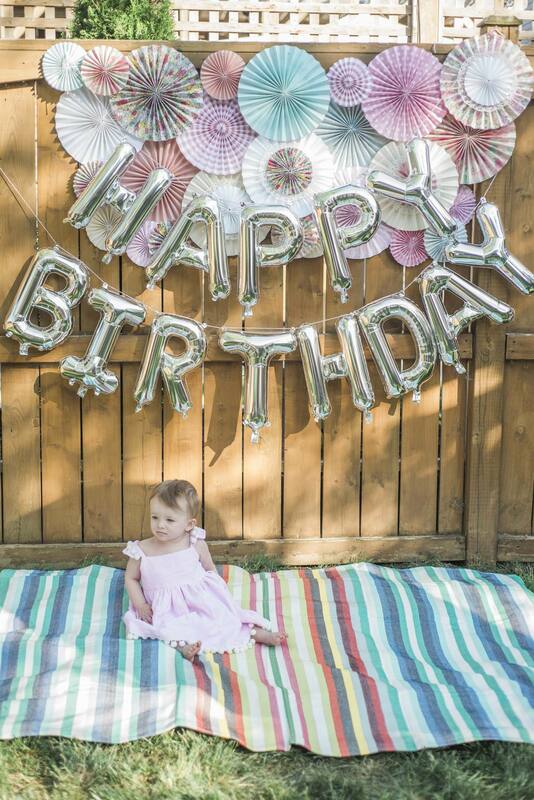 The “Happy Birthday” balloon backdrop, big #1 balloon and garland are all from there and caught my eye right away. They really brought the pretty to the party. 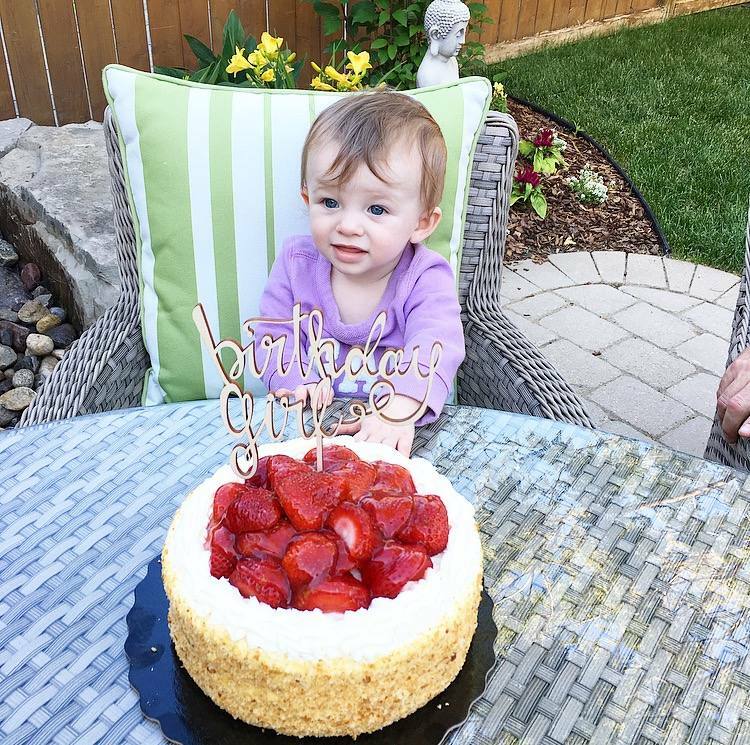 Finally, no first birthday would be complete without the cake. 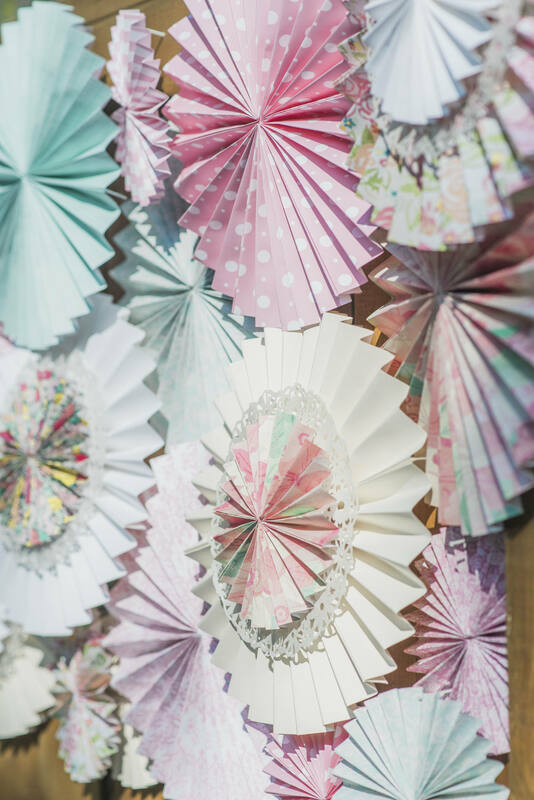 I was on the hunt for a cake topper and found the beautiful birch wood “birthday girl” one over at Confetti and Sparkle Party Shop. 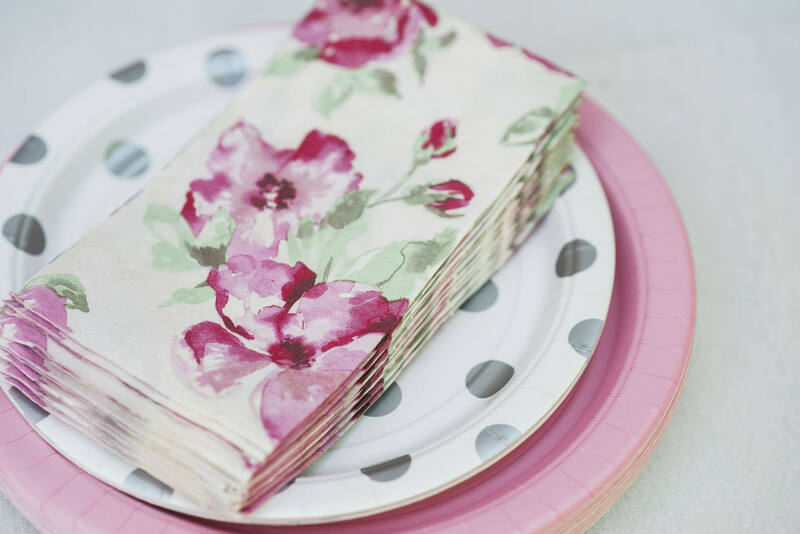 Their modern party supplies are right up my ally and definitely worth checking out. If you’re looking for a one stop shop for decor, they have you covered. Pretty sure my mom is saving the topper for her birthday in February haha. 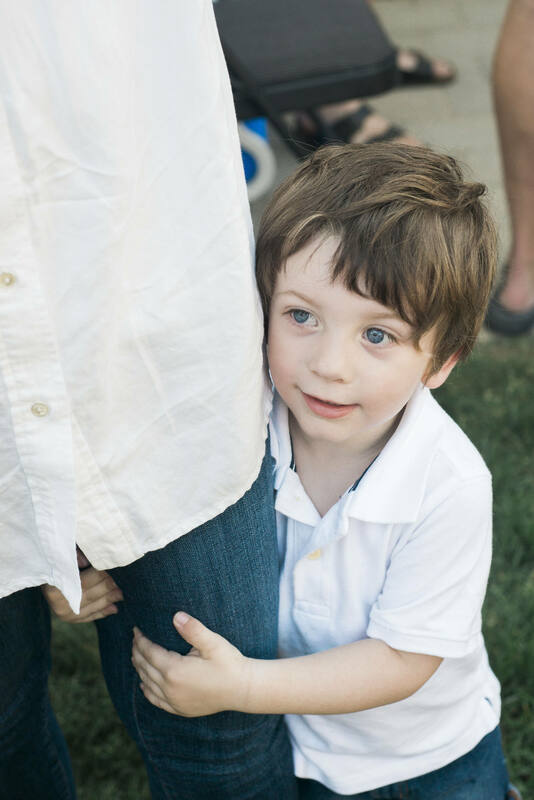 Next up, we have Max turning 3. I’m running short on ideas for this guy. Superhero theme? Dinosaurs? Ideas welcome and I’d love to hear where you shop for party supplies. Such a beautiful party! Wish I would have been there, little Zoë is growing so fast! Where has the time gone !!! Oh your Zoë is adorable!! 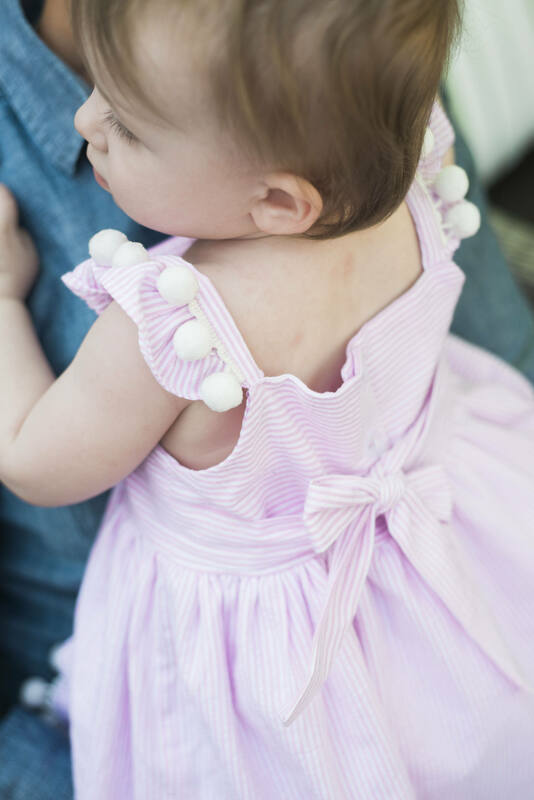 I love the pom pom detail on her dress and all of the special touches in the party decor. The cake topper! Need! Well obviously I love the dress!! But I love that photo wall too! You did a great job mama! I love the colors you chose for the party. That dress is adorable, and so is your sweet baby. Looks like a wonderful party! Such a cute party!! 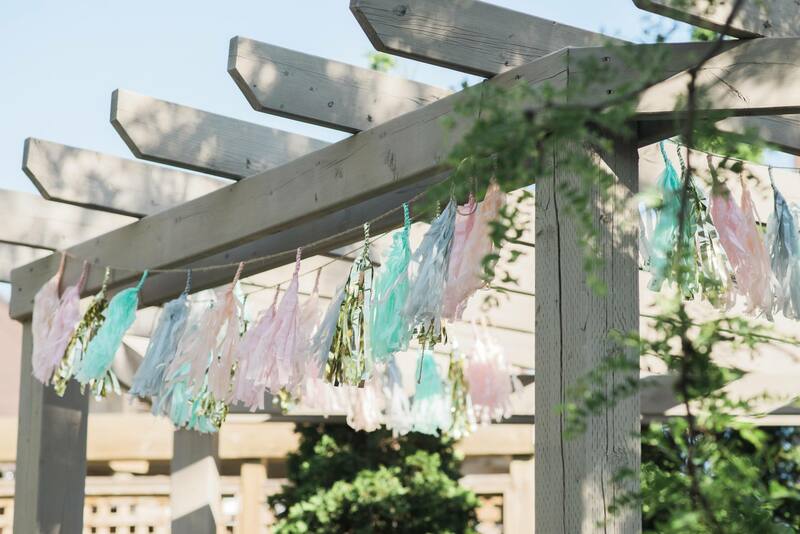 The decorations were perfect and Zoe is just so sweet!